This Place of Worship was founded before 1885, but we understand it was closed after 1955, and the premises are now in secular use. This building, now a private house, is marked on Old Maps as early as 1885, when it was described as "Baptist Chapel (General)". 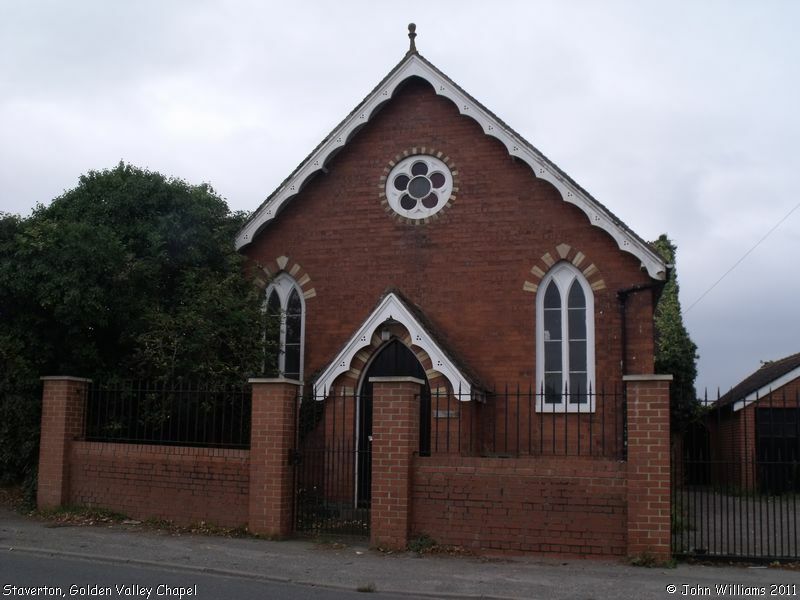 Its last appearance was in 1955, when it was recorded as "Golden Valley Chapel (Baptist)". Other maps in the interim period mark it simply as a Mission Chapel. It is on the south (left) side of the old A40 from Cheltenham to Gloucester. On the opposite side of the road was a smithy, and the maps also record it was 3 miles from Cheltenham. 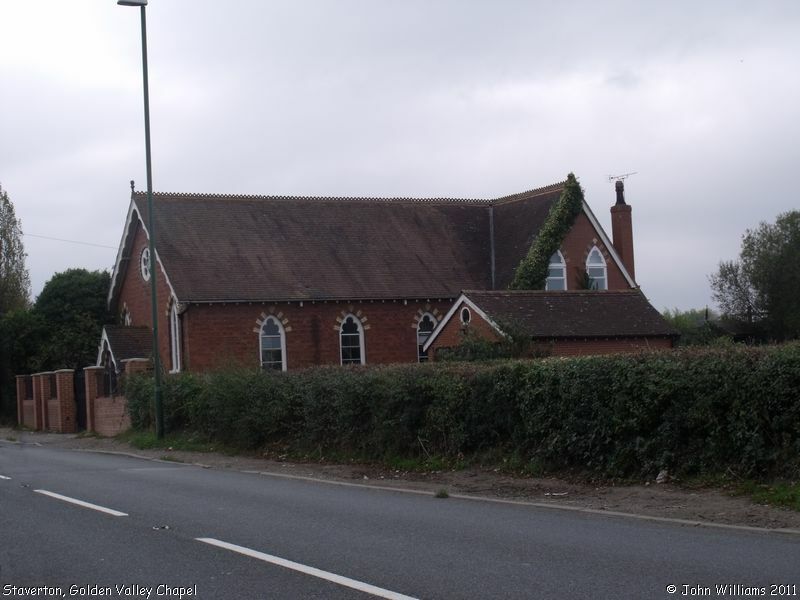 Golden Valley Chapel, Staverton shown on a Google Map. Places of Worship in Staverton shown on a Google Map. Information last updated on 17 Oct 2011 at 15:05. 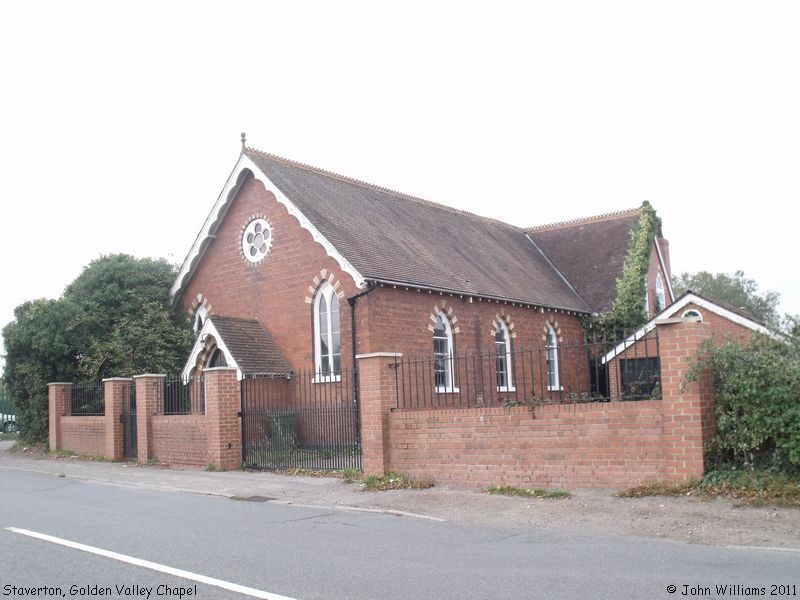 Please also remember that the former Golden Valley Chapel is understood to be in secular use, so care should be taken to preserve the privacy of its occupants. This Report was created 31 Mar 2019 - 16:02:09 BST from information held in the Gloucestershire section of the Places of Worship Database. This was last updated on 7 Feb 2019 at 07:45.